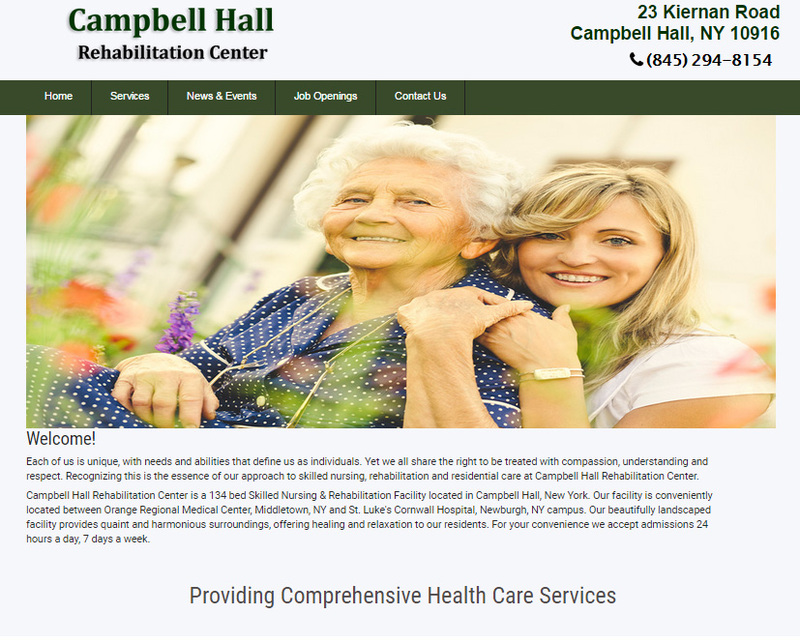 Campbell Hall Rehabilitation Center is a 134 bed Skilled Nursing & Rehabilitation Facility located in Campbell Hall, New York. Our facility is conveniently located between Orange Regional Medical Center, Middletown, NY and St. Luke's Cornwall Hospital, Newburgh, NY campus. Our beautifully landscaped facility provides quaint and harmonious surroundings, offering healing and relaxation to our residents. For your convenience we accept admissions 24 hours a day, 7 days a week.